Marie Webb on some stairs that lead to the enormous Buddhist statue. Nammireuksa is a hidden treasure tucked far away in the Korean countryside. The Buddhist temple boasts the biggest seated Buddha in South Korea, but getting to this destination is like Mr. Toad’s Wild Ride. There are two fellow blogger’s in Korea that I have to thank for sharing this destination. However, the directions provided are very vague, and leave out crucial information. After searching for hours on the internet, Brian and Chris provided the only directions to Nammireuksa available to me via the Korean web. Thanks for getting me there guys, but I’m going to provide our readers with a more detailed and accurate set of directions. This trip can be done from Seoul in one day; however this will take all day and will be grueling. I left the Dong Seoul Terminal at 9 am, and returned home in Seoul at Midnight. Two hours of my day was spent at the temple exploring (this was enough time), and the rest was spent on the bus. This was great for me because I did not want to spend the night anywhere. For those who have more time and money, I would suggest spending the night in Gwangju. There is plenty of other sites to see in the area and this allows you more then enough time to travel to Gangjin to see Nammireuksa Temple. There are a total of three buses you will need to take to get to the temple. Other directions online are misleading and forget to mention that the second bus may add up to four hours onto your total trip! Bus Number 1 is an express. 1. Getting to Dong Seoul Bus Terminal: In the Seoul Metropolitan Subway take line 2 to Gangbyeon Station. Use Exit 4 and cross the street to enter the Dong Seoul Bus Terminal. The address is 546-1 Guui-dong, Gwangjin-gu, Seoul but you won’t need it, just follow the crowd and anyone with a suitcase. The terminal is adjacent to Gangbyeon Station so you can’t miss the building. (Line 2) The service begins at 05:40 06:00 and then leaves every 30 minutes to 10:00. Starting at 10:20 the bus leaves every 20 minutes to 12:00. At 12:30 the bus leaves every 30 minutes to 16:00. Then at 16:20 the bus leaves every 20 minutes to 17:00. At 17:00 the bus leaves every 30 minutes to 19:00. After 19:00 there are set times at 19:40 20:20 21:10 22:00 23:00 24:00. Bus number 2 is a intercity bus. 3. 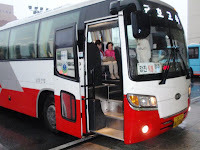 Getting from Gwangju to Gangjin (bus number 2): Once at the Gwangju station you will need to take an intercity bus to Gangjin. Gangjin is a county located in the South Jeolla Province. (No, unfortunately there is not a bus that takes you directly from Seoul to Gangjin) The bus takes 1 hour and 30 minutes to 2 hours depending on traffic and costs 9,000. They run frequently every 30 minutes from 4:50 to 22:05. 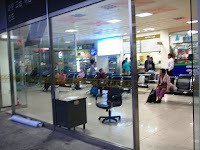 Gwangju station has a big tourist information desk that will help you if you have any trouble. Bus number 3 is a local bus. 4. Getting from Gangjin to Nammireuksa (bus number 3): This part gets a little tricky because now you are in the middle of nowhere in Gangjin county. Print out a picture of Nammireuksa Temple and show it to the lady working at the ticket counter to make things easier. (They all know where this is.) From the small Gangjin station you will need to take a local bus to the Gun Dong bus stop. This bus ride will cost 1,100 and will take 20 minutes. The bus will come about every 30 minutes until 5 pm. After 5 pm they will come every hour. 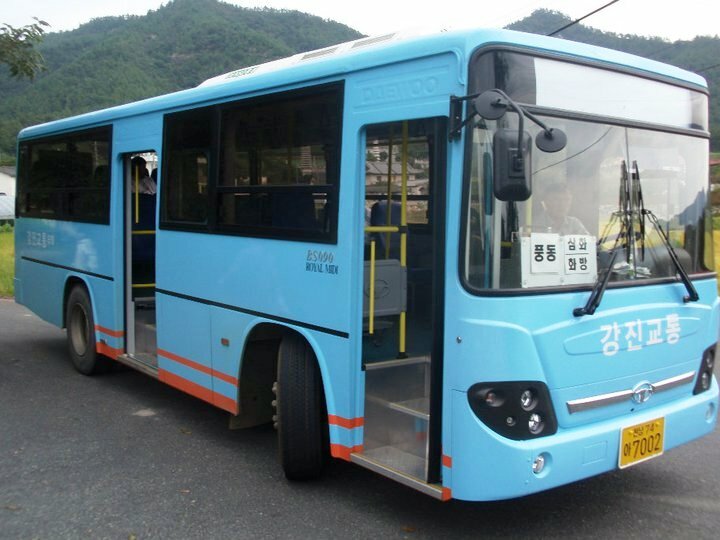 Don’t worry about the Gun Dong bus stop, just show your bus driver a picture of Nammireuksa and he will tell you when to get off the bus. The bus stop is literally at the foot of the temple, so you can’t miss the big Buddha or get lost at this point! A view of the tiny Gangjin Station. You can take a KTX speed train from Yongson station to Gwangju. This will take about 3 hours and 20 minutes and will cost 33,000 each way. The trains leave from 06:05-11:10 and departs every 15-40 minutes. Once at Gwangju station follow the directions listed above. Once at Gwangju station follow the directions listed above. If you have any questions or comments about "Nammireuksa Part 1: Getting there" please leave a comment in the box provided below. Thanks for the link, and the write-up! When I first researched the temple in 2006 I was almost exclusively focused on Jeollanam-do as a writer, so I didn't bother providing directions from Seoul. Looks like the bus route has changed a little bit since I visited in 2008 . . . though it's still quite off the beaten path. Chris- the temple was amazing and well worth the crazy journey! Brian- your welcome! This is an amazing destination and I hope that more people from Seoul will get out of the city and enjoy the journey out there! I can't wait to visit that place! I'm not the adventurous type but after reading so many great reviews of this place, I must visit there when I go to Korea this summer. Btw, I am also from San Diego!! Go Chargers/Padres!! I want to visit Gangjin this november. 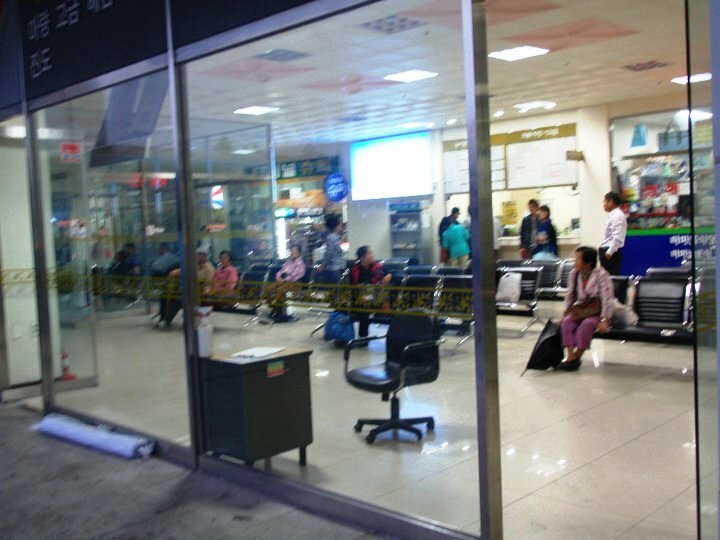 I plan to stay for one night, but maybe I will choose a jimjjilbang place in Gangjin :D do you know about the good jimjjilbang place in gangjin? is it a safe place for woman who travel alone to spend the night there? Anyone know where this temple is on a map? All my attempts to Google it are failing (or pointing to this blog post, which doesn't include a map).